Kgosi Modisane is our fashion slayer this week! This week we honour publicist Kgosi Modisane who is better known as ‘Krayzi’. The celeb-driven personality always steps out with the latest fashion trends. If we had to describe Kgosi’s style in three words, we’d call it bold, unpredictable and funky. These bright retro pants are to die for! He gives a lot girls a run for their money. We’re loving this Versace inspired shirt mixed with a leather combination of shorts and ankle boots. With an updo hairstyle paired with a head-wrap, Kgosi is really letting his inner glam come out and boy he is killing it! Kgosi isn’t afraid to bring the drama! 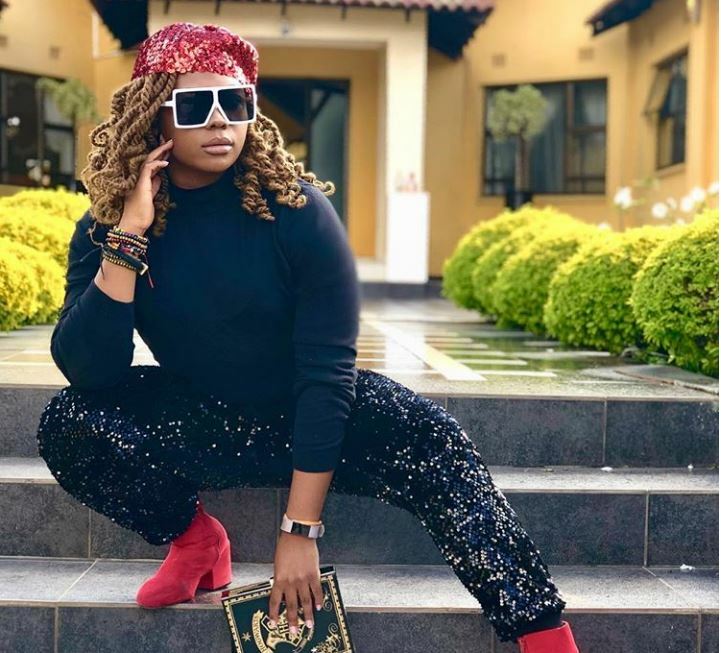 Cav this silver Footwork stilettos with a customized red suit from Style Alert. He is keeping it casual and clean in this ensemble, were feeling the hairdo too! He is from Daveyton in the east of Joburg. Just like the Naked DJ and Lira, Kgosi attended Wordsworth High School. He kick started his career at True Love as an intern with a dream and worked his way up as to be an assistant editor. What do you guys think of this week’s fashion slayer? Do let us know in the comments section.